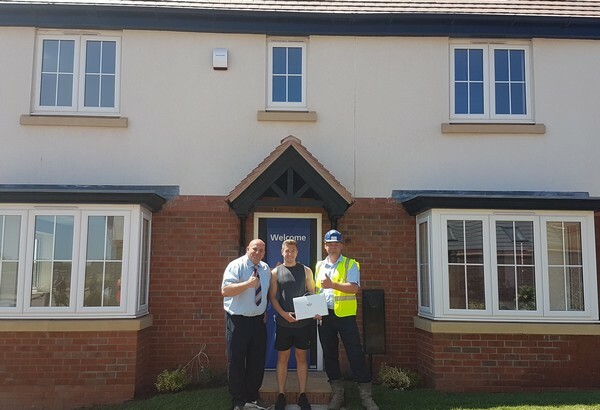 A first-time buyer who was born in Lichfield can now stay in the city he loves after being the first to move into a home on a new-build location. 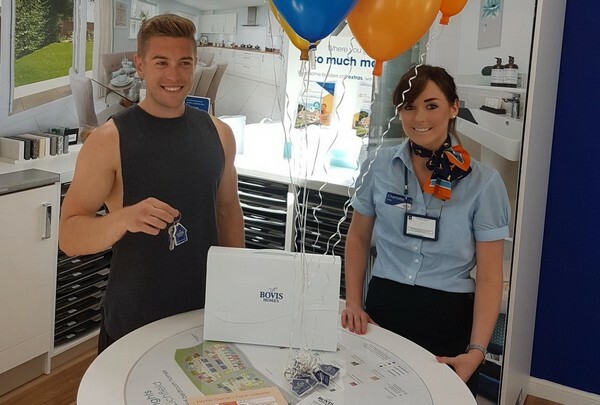 Aaron Telford, 23, used the Government's Help to Buy – Equity Loan scheme to purchase a Bovis Homes property at Roman Heights. The salesman, who works for his family's printing business in the city, said that without the new location and the scheme, he would have been forced to move away from the area to save up. But instead the delighted new home owner has been enjoying the good summer weather at his sparkling three-bedroom detached house. “I've been living in Lichfield since I was born and I work here as well,” he said. “I knew this development was happening and the house was complete at just the right moment for me. “I wasn't able to buy in Lichfield before Roman Heights came along and the Bovis Homes team here have been fantastic. “I wanted to put all the money I'd saved up into a house and Help to Buy was just what I needed, otherwise I would have had to move out of the city, save up and move back, which I didn't want to do. “Bovis Homes offered me a lot of information, it was all seamless. I can't rate Bovis Homes highly enough. I looked at several new-builds but the quality of Bovis Homes was top notch. Aaron's Sheringham house type includes an open-plan kitchen/diner, which has patio doors that lead out on to a good size garden, perfect for barbecues and entertaining. He added that Roman Heights had plenty of green space and strong transport links with the A38 nearby and Lichfield Trent Valley railway station. Aaron said: “Lichfield as a whole is a great place to live. Roman Heights is close to the A38 but you can't hear it from the house. The nearest train station is not far away either. Roman Heights has three and four-bedroom properties currently available, with prices starting at £259,995 for the Southwold house type. Home owners using Help to Buy receive an equity loan of up to 20 per cent of the cost of their newly built home from the Government, so they only need a 5 per cent cash deposit and a 75 per cent mortgage to make up the rest. They will not be charged interest on the 20 per cent loan for the first five years of owning their home.